You might be familiar with the city you live in—the streets, a few spots you frequent for food—but do you really know what's around? There's a museum a few miles away. Did you know that? Just because you've lived in a particular city for many years doesn't mean you've seen it all. Chances are there's some history to a location you didn't know, or a mom-and-pop spot tucked away around the corner. 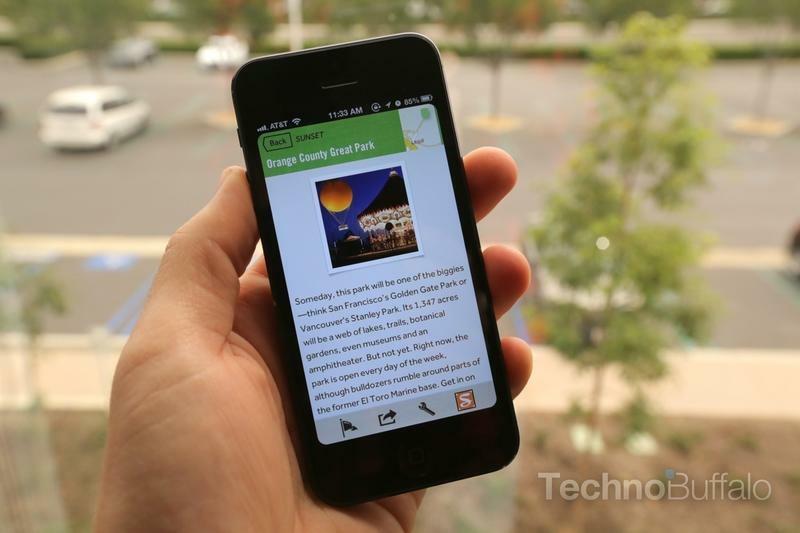 Google's Field Trip app for iOS (already available for Android) will help you become more familiar with what's around. Field Trip describes itself as a guide to help you discover all the cool, hidden and unique places around you. And that's exactly what it does. As soon as you set it up, the app will ask for your location and, once you agree, it'll show you what's nearby according to your interests: architecture, historic places and events, lifestyle, offers and deals, food, museums, etc. It's your entire world confined into a little app, designed to make you more aware of what's near. I don't know how many times I've said, "I didn't even know that was there." Field Trip is set up to eliminate situations like that, as long as you're up for exploring. The app can either show you a list of what's nearby broken down by categories, or you can look at points of interest on a map (Apple Maps!) to get a better idea of what's where. Field Trip already told me a Movie Location is nearby (Iron Man, 2008). The more you know. The app runs in the background, so be aware of that aspect. It does this so it can alert you when something is near, instead of you opening the app up and then it telling you. Clicking on a particular point of interest that's nearby will bring up information so you can learn more, and you can even see the original article it's pulling info from. Whether you want to learn more about your city or you're vacationing somewhere new, Field Trip seems like a pretty solid entry for all your explorers, and it's free. I'm going to give it a shot and see what I can learn about the city I live in, and hopefully discover a few new spots I haven't heard of.